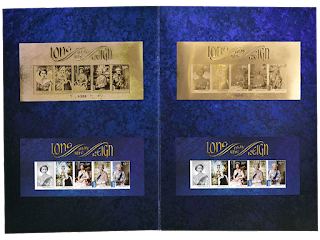 Every year there's a two gold miniature sheet collections, and this year's editions are for the Centenary of Gallipoli and the Reign of Queen Elizabeth II. 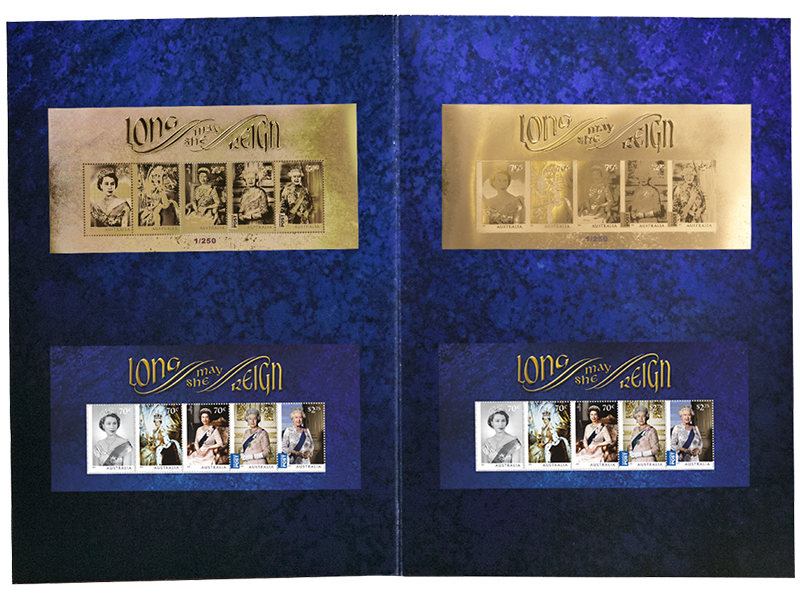 two 24 karat numbered gold miniature sheets (one printed in black, and one without). a standard perforate miniature sheet. 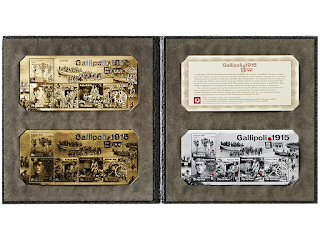 two 999.9 numbered gold miniature sheets (one perforate, and one imperforate. 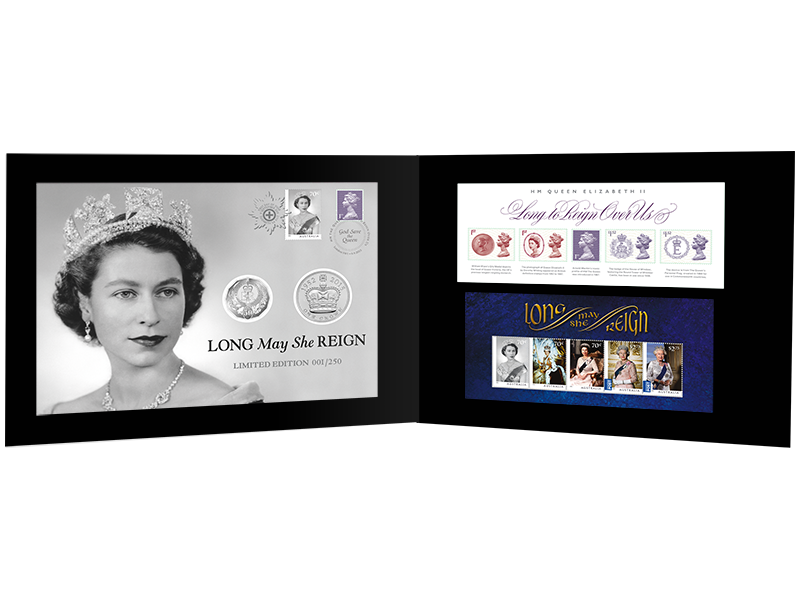 an imperforate version of the standard miniature sheet. A special collection with Australian and British miniature sheets is also available from 27 October for $149.95 (limited to 250). 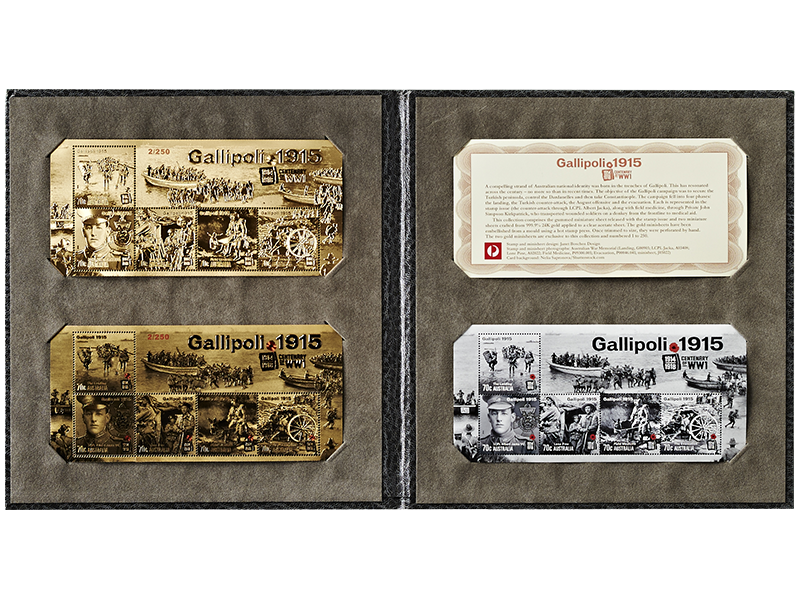 The Australian miniature sheet in this collection appears to be the same as the standard version.